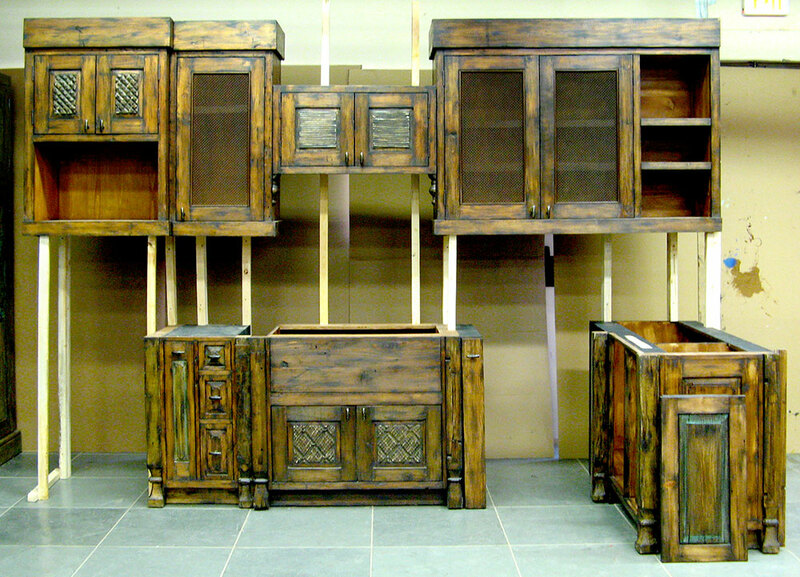 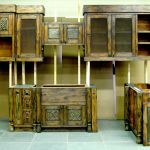 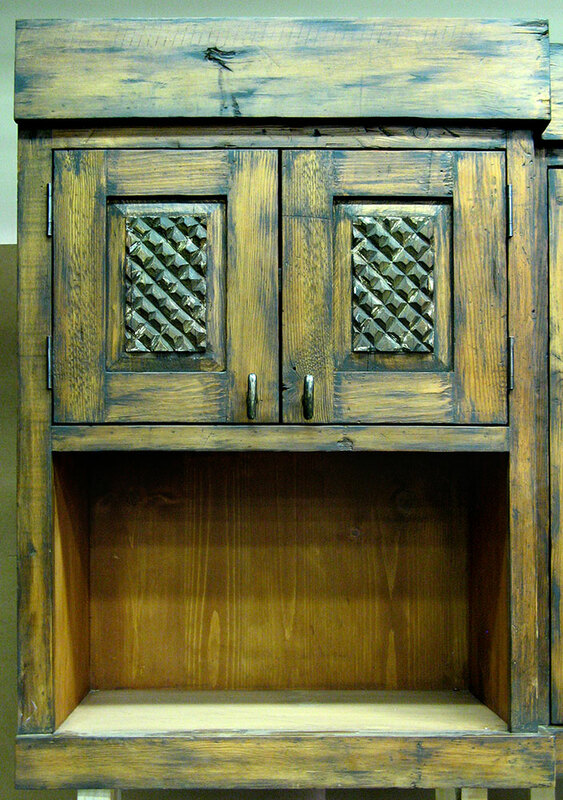 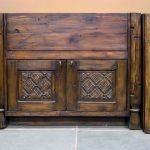 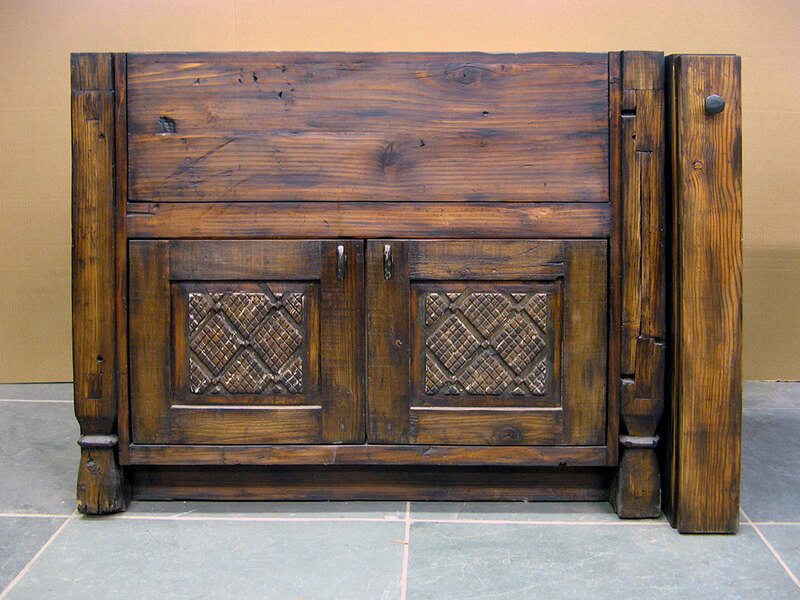 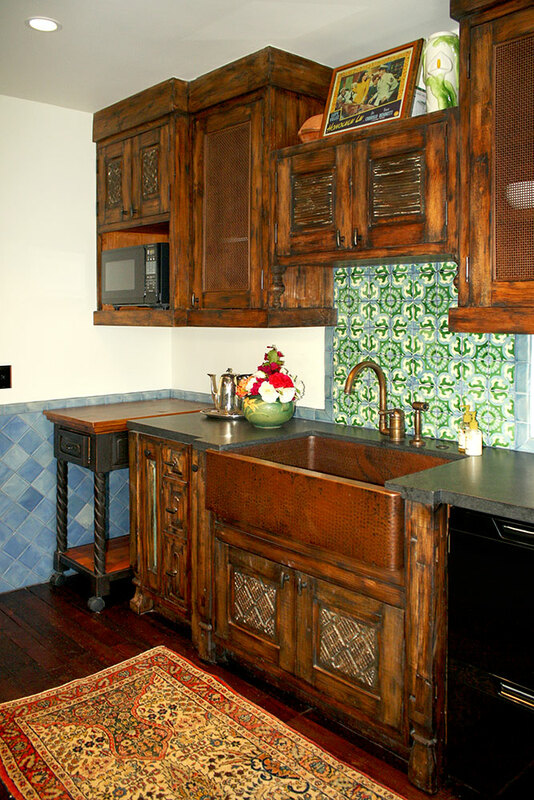 The use of antique carved panels and dowry chest finials are some of the touches that make this kitchen so special. 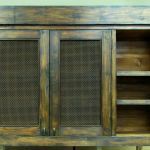 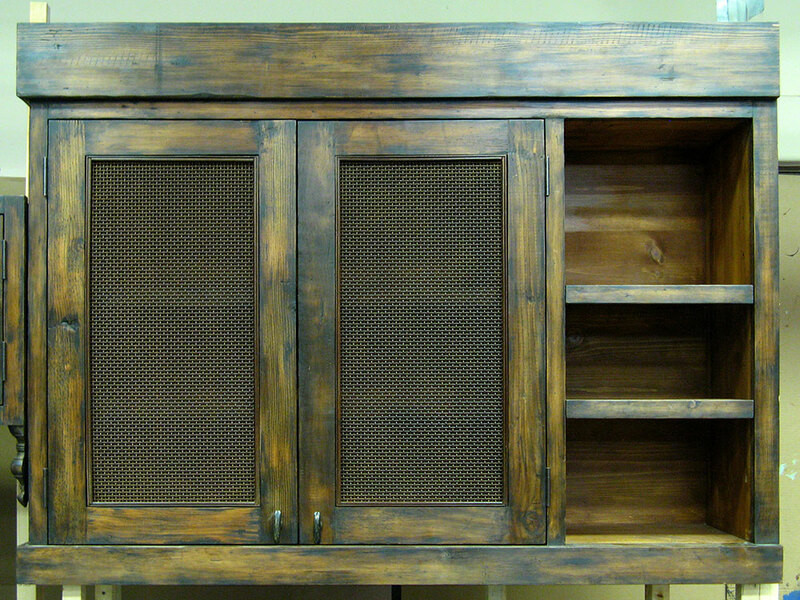 Antique material is seamlessly blended with reclaimed Douglas fir to create the look of antique cabinetry that is functionally fully modern. 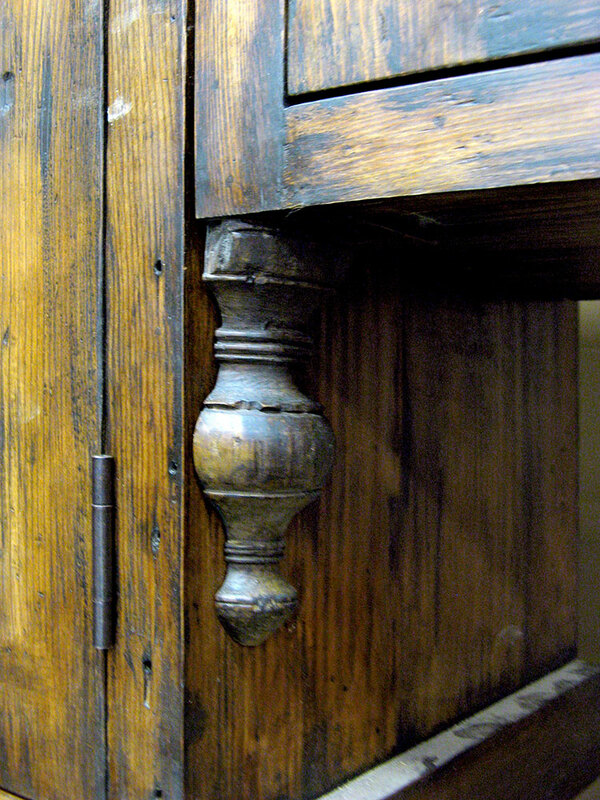 Designed at the same height, the small rolling island neatly blends in at the end of the counter when not in use. 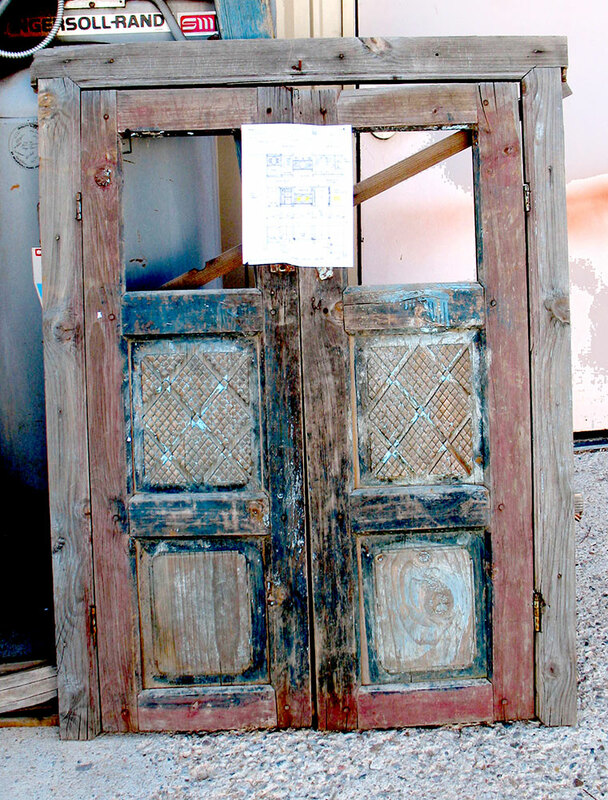 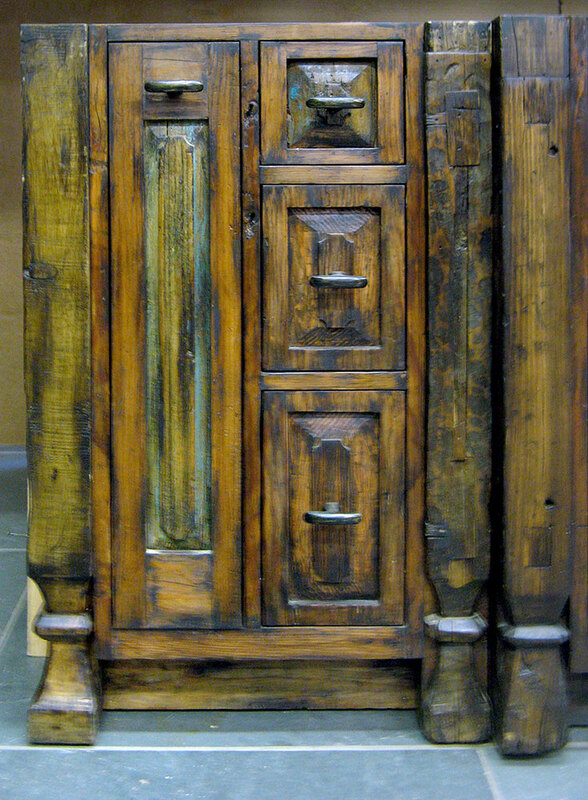 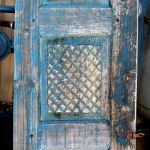 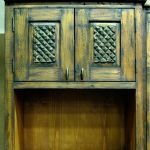 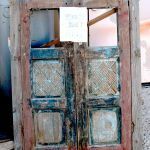 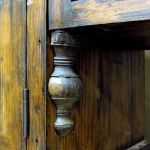 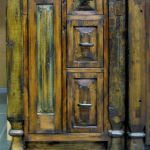 Detail photos show antique panels, one that was split for two cabinet doors, as well as individual cabinet details.